My daughter and I are big Pitch Perfect fans, so we decided to see the newest (and final) movie at a matinee yesterday. I've seen posts of people loving it and hating it, so we needed to find out for ourselves. We already knew we'd be inclined to love it, based on our enjoyment of the first two movies (we watch them both pretty regularly) and that definitely helped. Already feeling engaged with the Barden Bellas had us ready to love their next film. Overall, it was pretty good. The most confusing part was that the plot line with Fat Amy's dad really had nothing to do with the USO 'competition.' I feel Fat Amy and her dad could have made a great action/adventure movie, but the way it was done made it feel like a little mini-scene dropped into a Pitch Perfect movie. The competition between the groups wanting to open for DJ Khaled on the USO tour could have been a great movie on its own - expand a little bit on the other groups (and Ruby Rose - YAY! ), and stick with a similar plot to the first two movies. Although I suppose I can see why they may have shied away from making the same movie three times, people like my daughter and I would keep watching anyway. 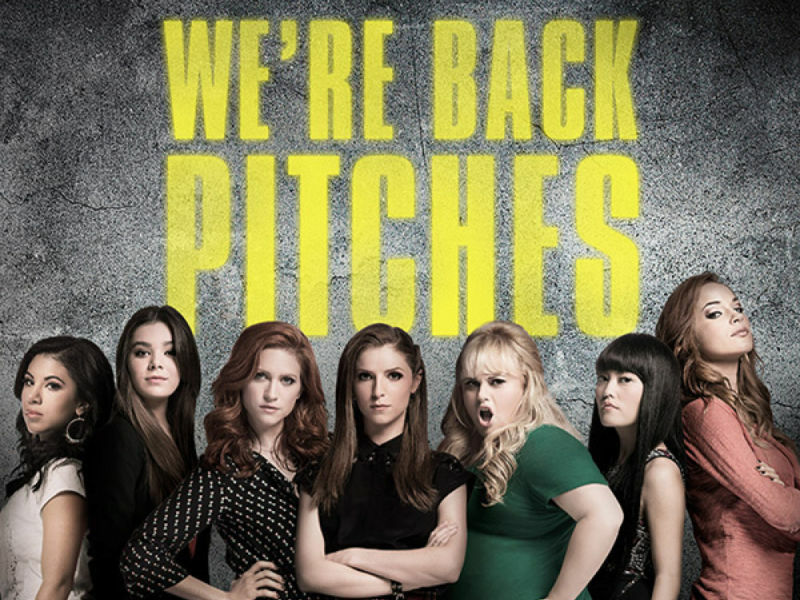 If you liked the first two Pitch Perfect movies, you pretty much have to see the third one, right? I'll also be downloading the soundtrack, and especially liked the finale number. I agree - it felt like 2 or 3 different movies combined. I also didn't "buy" John Lithgow as a villain (spoiler? lol) because he normally plays such nice guys. BUT, I enjoyed all of the singing, per usual. I might see this one when it comes to blu-ray or on-demand, because I enjoyed the first movie. I couldn't get myself to sit through the second though. So, we'll see. Thanks for the review. My daughter loves the Pitch Perfect franchise. She's so excited to watch this film pretty soon. Thanks for giving us an honest review about it.